Some reasons for windows and door replacement include needing to better manage the climate and temperature in a house by reducing condensation, minimizing drafts or diminishing heat from the sun. Another reason may be to help decrease costs due to energy inefficiency. Somebody may also want to make one’s house more visually appealing and increase its sale value. These are just a few reasons to reinstall new windows and doors, but each consideration requires a different type or style. That’s why it’s very important to ask yourself what exactly you wish to improve. 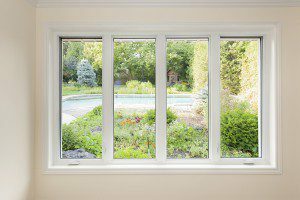 Once you know exactly why you want to replace your windows and doors, then you can choose from the options that solve that issue. Within the category of energy efficient types, for example, you’ll find different visual designs, sizes, colors, etc. Different developments and areas of the house may prompt a specific appearance or style, but often times, this is entirely up to preference. Of course, a major factor in choosing what windows and door replacement you would like is the cost. This can vary considerably depending on all factors listed above, as well as the brand. By contacting a professional installer, you can have a better idea of pricing, but it’s best to have a clear idea of what you need and want before calling so you can get a more accurate estimate.